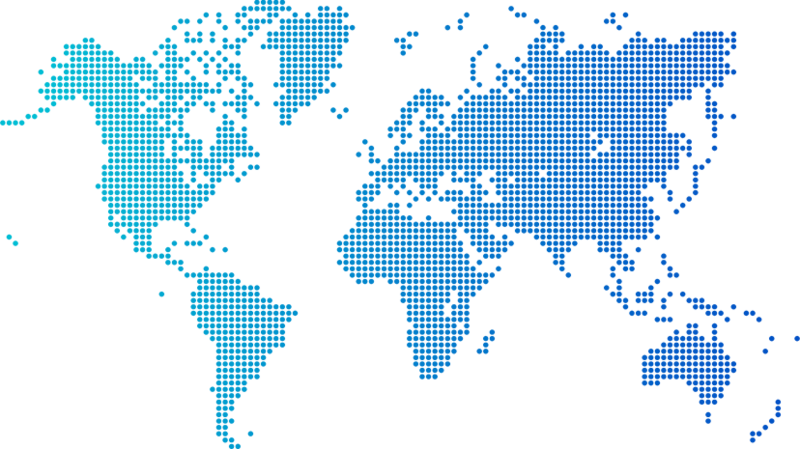 As Atlassian Solution Partners since 2009, we have delivered over a hundred of projects and thousands of consultancy & support hours. 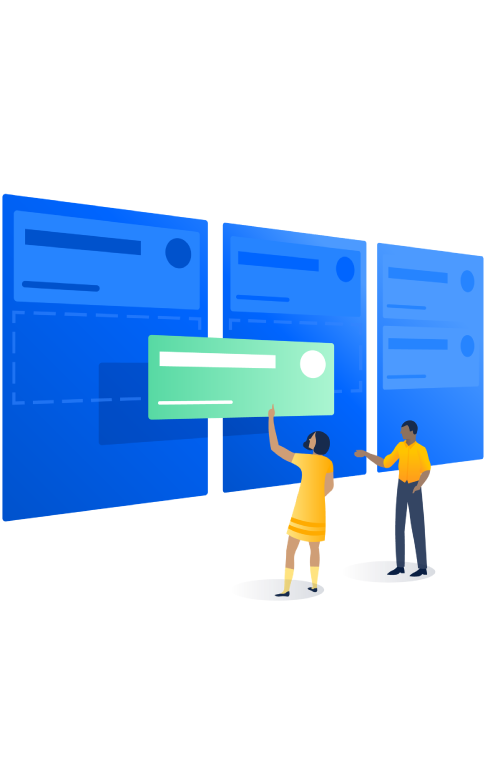 Whether to evaluate your current instance of Atlassian tools or to identify the current state prior starting an agile transformation, our assessment framework is both objective and detailed, providing a baseline for improvement? Our team of Certified Professionals is ready and at your service. 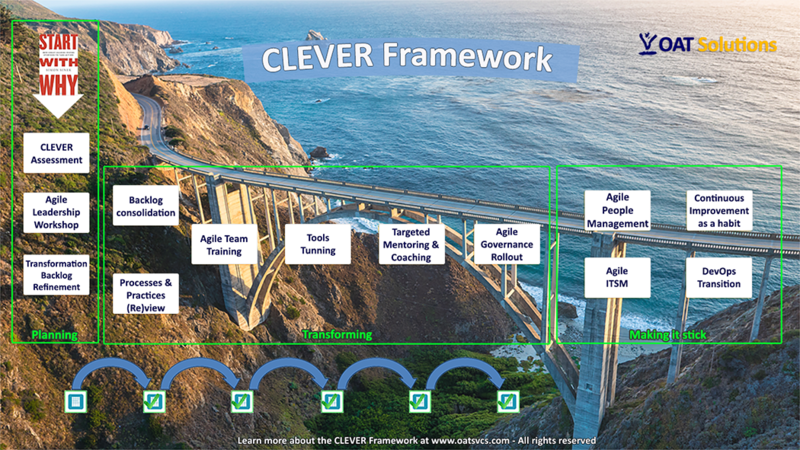 To bring agility for all teams we have developed a framework that enables our team to best match each customer’s needs and truly deliver value. Controlled One common misconception about agile methodologies is that its adoption means abolishing any sort of control, monitoring, traceability or similar means to provide visibility about progress. Within our framework we have been careful to make sure that it enables control at a reasonable and timely sensible way. Evolutionary A common challenge for companies on an Agile Transformation journey is how to increase the adoption of Agile practices spreading throughout other departments, as well as within the IT department going beyond software development. With that in mind, our framework provides all necessary guidance in order to start - usually in small,controlled environment - and grow wisely. Versatile Means that every practice and recommendation within the framework is applicable to new products & projects as well as to ongoing initiatives or legacy products that are maintained and evolve at a much slower pace when compared to innovative products or technologies. We emphasize this feature due to a firm belief: good processes can't privilege new products whilst ignore critical legacy products. 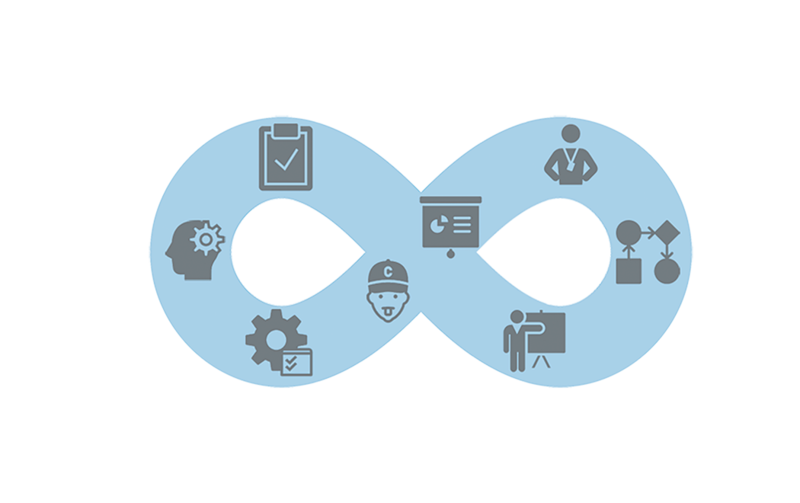 Effective More than just doing the right thing, our framework encourages the most appropriate way of performing an activity according to the context and possible choices plus being supported by software tools that boost productivty, velocity and reduce the risk of performance variation. Robust Our framework is the result of a reasonable and conscient selection among different approaches, frameworks and methods so that our customers can have the best possible experience without the burden of a 'trial and error' approach.